JAI32 - Entries So Far! Please double check the entry requirements before submitting your entry to our challenges. We're again going through a period of multiple deletions - we don't like doing that to you! If you're not sure of our 'rules', check out this post. Now... have a look at the fabulous entries we have so far in this week's challenge! If you haven't already entered, the cut-off time is Wednesday September 1st midnight WST and you can submit your entries HERE. This week we have a theme challenge for you all. I hope you're ready to give your big shot a work-out or maybe adding a little ribbon to your projects this week will be more to your taste. As long as you Just Add Material, you fit our challenge criteria!! Please mention our challenge and provide a link back here in your post, so others can come and join in the fun too! Mr. Linky will close Wednesday 1st September at 23:59WST. What a week! We had so many fabulous entries, with so many fantastic ideas! Thankyou all for your support of Just Add Ink. We love having so many talented crafters participating! 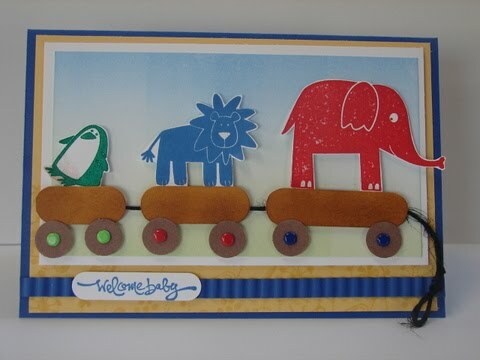 Renee is a mum of 5, from Canada, and has been a Stampin' Up! Demonstrator since 2006. We are always in awe of Renee's creations - she always has a little magic up her sleeve and never fails to impress. Here's what Renee told us about her lovely craft space. Has this always been your creative space? We'd been moving every year or so (due to my hubby's schooling) so I never really had a defined space to call my own. Once we bought this house, I decided that it was high time I got a space too! So, we've gone through a few renditions of the scrap area and changed it as my needs (and stuff) grew. I started out with a few IKEA pieces of furniture with the eye for being able to add and move them around. Knowing full well that we won't be living here forever, I wanted my furniture to be easily taken apart and reassembled in whatever configuration would work for whatever space I get. What do you use for ink storage? All my ink, markers and ink refills are stored in cases that my father-in-law made for me. They are individual units that hold up to 12 inks, and they can be stacked, be put side by side, hang up, whatever! All my SU! stamps are in cupboards on the wall (see below). I purchased an IKEA bathroom cabinet with an opaque door, and they fit the stamp cases perfectly! The rest of my collection is stored in a Bind-It-All album. How about storage for punches? My punches are all on the wall on towel bard (also from IKEA). We know you love ribbon - how do you store yours? My hubby made me a cubby for my ribbon - it has two 12" wide sections with several rods in each section for plenty of ribbon storage. My scraps, well, I rarely have any 'cause I use it all up! What's your best storage idea that you would like to share? Hmmm ... best storage idea? I don’t know if I have a “best” idea, but I know this: if I want to use something, it’s got to be seen or at least in a cute container that is labeled! What was your last major storage investment? I didn’t buy this, but it was my Christmas gift from my father-in-law: he made me a storage shelf that’s on a lazy susan with all sorts of cubbies for my Big Shot and accompanying dies! What are your top 3 tips for keeping things organised? if you find you’re not putting it away because it’s awkward, find a better spot for it! clean up completely after you’re done a project! What do you do with all your paper & scraps? I store all my solid 8 ½” x 11” card stock in a filing cabinet. They are all in individual hanging file folders and I’ve stapled a large Ziploc bag to the inside front of each for the scraps. 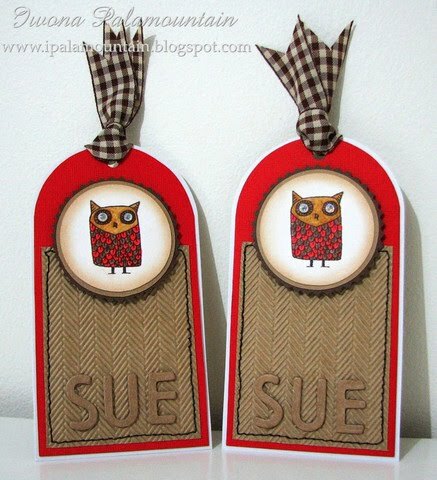 My patterned paper and 12 x 12 card stocks are in paper holders on my desk top. How do you store buttons, doo-dats, etc? 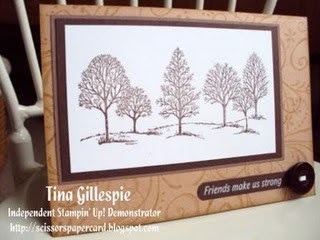 I have a couple of the Stampin’ Stack & Store turn-abouts and they are really handy. As almost all of my embellishments are from SU, they all come in those little round containers that are designed to fit in the stack & store – I do find that labeling the sides of the containers makes it easier to see what’s there as mine happen to be up on a shelf! What's your dream set-up? Or are you one of the lucky ones already there? I like what I have! I wouldn’t mind more closed storage to keep the appearance of neatness but in all honesty, it all comes out when I’m in there anyway and I’ll keep it cleaner because it is so visible! What items are guaranteed to end up on your desk after you've made something? What do you do when your mojo needs a kick start? What always works? Tell us 5 tools/items you can't live without when you're about to make something. Thank you Renee for showing us around your beautiful space, where the magic happens! We admire your work, and love the inspirational bug you share! Thanks for visiting Just Add Ink! If you haven't already entered, the cut-off time is Wednesday August 25th midnight WST and you can submit your entries HERE. JAI31 - A Colour Challenge! We have a super colour challenge for you this week! And before you ask, yes, you are absolutely allowed to combine this with any of the Helping Hudson challenges! Mr. Linky will close Wednesday 25th August at 23:59WST. Be here on Thursday 26th August to see the Design Teams top picks! Thankyou SO MUCH to everyone who participated in our special Helping Hudson Challenge. It is such a great cause and we really appreciate that there are so many more people who know about it now, thanks to the blinkies on your blogs! If you haven't purchased your tutorials yet, head on over to Helping Hudson to get them. There are only a few days left! And for this week's challenge, the team at Helping Hudson have a prize for one of our top picks! and we'll get your prize to you. JAI30 - Entries So Far! Just in case you didn't catch our update to the challenge post, there's a PRIZE up for grabs this week for one lucky player, thanks to the team at Helping Hudson - get your submission in! Anyone could be a winner! If you haven't already entered, the cut-off time is Wednesday August 19th midnight WST and you can submit your entries HERE. Survey Results - Do You Decorate The Inside Of Your Cards? 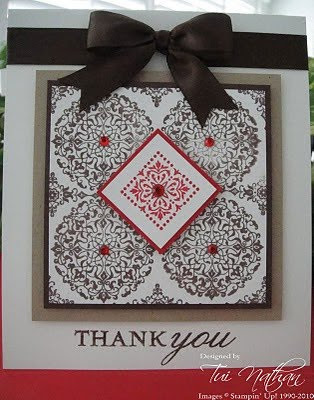 Thanks to everyone who participated in our survey about whether you decorate the inside of your cards. The results are in! 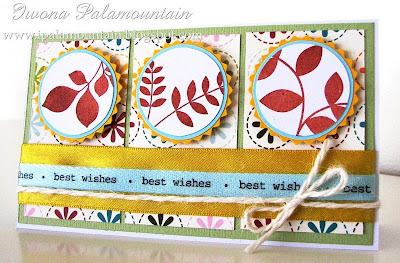 Do You Decorate The Inside Of Your Cards? If I do (not very often) I layer a couple of pieces of card to write on and add something from the front, like a stamped image or a strip of card or DSP, or even some ribbon! Place a lighter card inside to write on, add a border and if possible, an image that matches the front of the card. 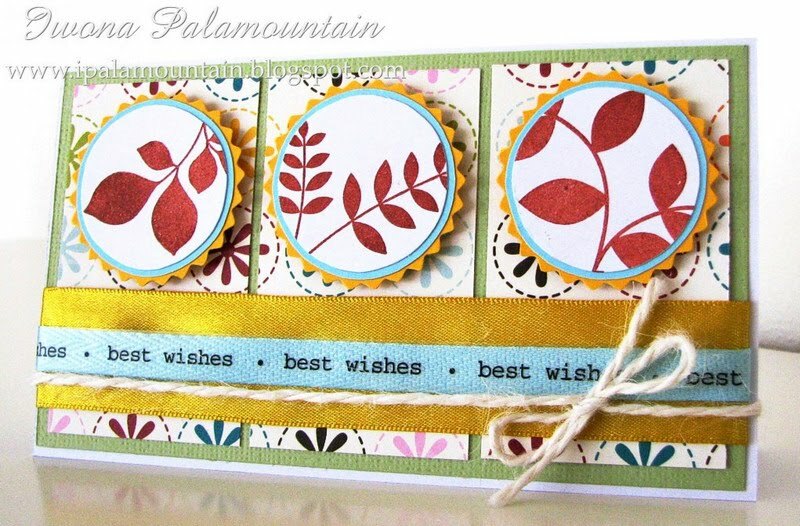 I usually use a plain white or vanilla cardstock, whichever matches my card and then add a sentiment. I also stamp the same image, or similar, that I have used on the front of my card in the bottom corner. I always add a paper insert to make it easier to write a message in the card. Also handy if you make a spelling mistake, easier to rip out the insert than start all over with the card. The insert also helps cover the backs of brads or ribbon ends that may be showing. Occasionally I will 'decorate' the insert but mostly I leave it blank. 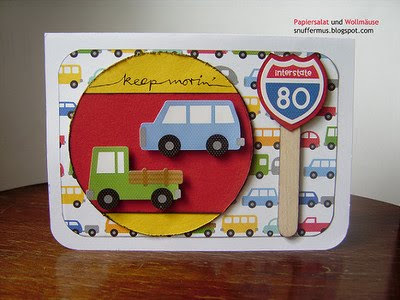 Using some of the same elements used on the front of the card. I keep it simple so the giver has a place to write. Many times I put the sentiment on the inside. always with the stamp that i am using on the front of the card, or something near. Usually one related stamp in a corner. Sometimes some patterned paper or solid paper with fancy corners. Matching dsp, buttons, chip, etc. Small picture stamp, saying a small verse! With coordinating stamps or punched images. Use the front image within the inside or use a matching dsp. A stamp in the bottom corner, a scallop border along the bottom in the same patterned paper used on the front. Replicate some of the same from the front of the card. Different each time. 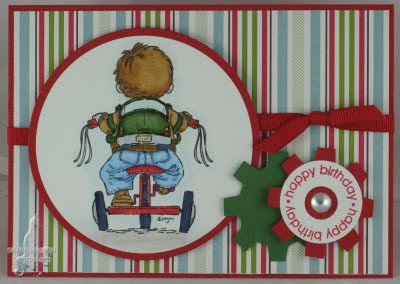 2 Layers of cs in same colours used on front of card and then a little stamping in the bottom right and top left corner usually and sometimes a greeting in the centre. Very boring really. 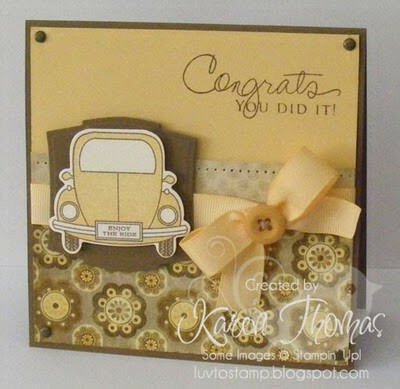 I only do 'special occasion cards and then I stamp off the image I am using on the front onto card to place inside. I don't usually colour the inside. A little bit of stamping, if its on colour cardstock then I use a Versamark stamp pad. 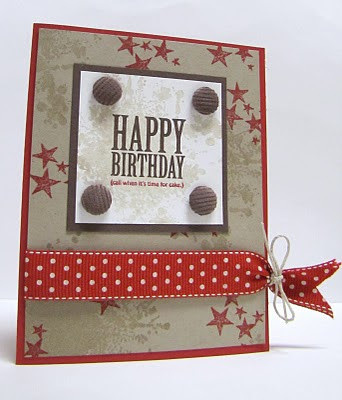 Layer with another colour of card and stamp a matching image. Usually add white card if the base card is a dark colour. Try to add some part of the main image and a stip of other card featured. Stamp a verse and a coordinating design with the front. Sometimes ribbon. As I sell most of my cards at a craft fair I keep them very simple. 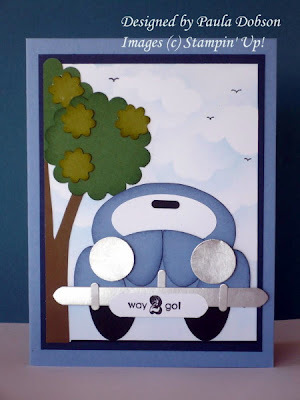 If I have used whisper white or Very Vanilla for the card Ieave it that colour, but if I have used coloured card then I put a sheet of Whisper White or Very Vanilla on the inside. Then I usually use the stamp I have on the front and either put it in the corner or stamp it several times along the side or bottom of the card. I also repeat this on the envelope so everything matches. Simple but very effective. I generally add a strip of DSP that I have used on the front or some stamping in the corners. Sometimes with a strip of matching DSP or a small stamp that matches the front. 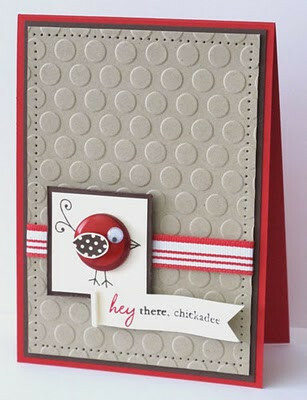 I always put a piece of card to write on and sometimes layers this to match any layering on the front of the card. 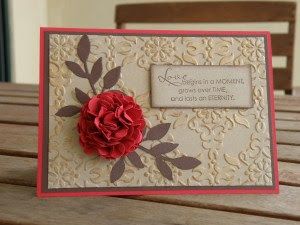 A sentiment, a stamp that complements the card front, and sometimes edge punches, depends on the card. Smaller stamped image on the inside left from the same set as main. I always put a decorative cut of white reflex paper inside for people to write their message and occasionally I might put a flower or something to match the card on that sheet. This week our challenge is extra special. It's all about the Helping Hudson fundraiser! If you haven't already read about this brave little two-and-a-half year old, you can read this post and find out all about him, and why he needs YOUR help! Click on Hudson's logo (above) if you would like to go to the main blog and check out the awesome challenges, fantastic prizes, and incredible tutorial packages available for purchase at the blog. He really is an amazing little guy - go and say hello if you haven't already. Thanks to Genna from the Helping Hudson crew for suggesting this quirky and fun idea for our challenge this week! if it's circular it fits the criteria! Update 15/8: There will be A PRIZE up for grabs for one lucky player, thanks to the team at Helping Hudson - get your submission in! Anyone could be a winner! Please mention Helping Hudson in your post, and include a link to the Helping Hudson blog - the more that know about him the better! Mr. Linky will close Wednesday 18th August at 23:59WST. Be here on Thursday 19th August to see the Design Teams top picks! 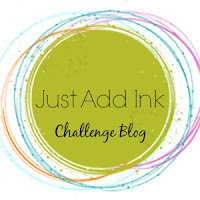 Just Add Ink #29 - A Colour Challenge!